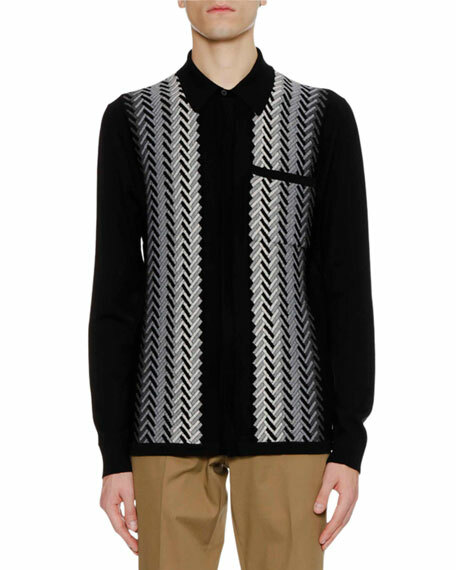 Lanvin sweater-style shirt in fading chevron jacquard. 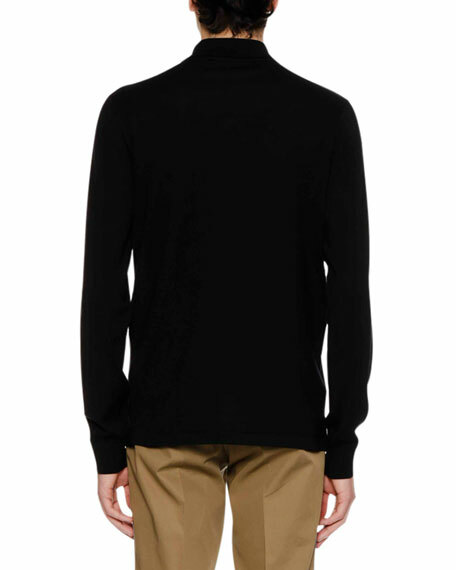 Rag & Bone "Stockton" jersey-knit cardigan with contrast trim. Embroidered logo detail at back. V neckline; button front. Ribbed cuffs and hem. Side slip pockets. Straight hem. Classic fit. ... Dry clean. Imported.